Advanced analytics helps makes sense of petabytes of data by using statistical, indexing, filtering and machine learning techniques. 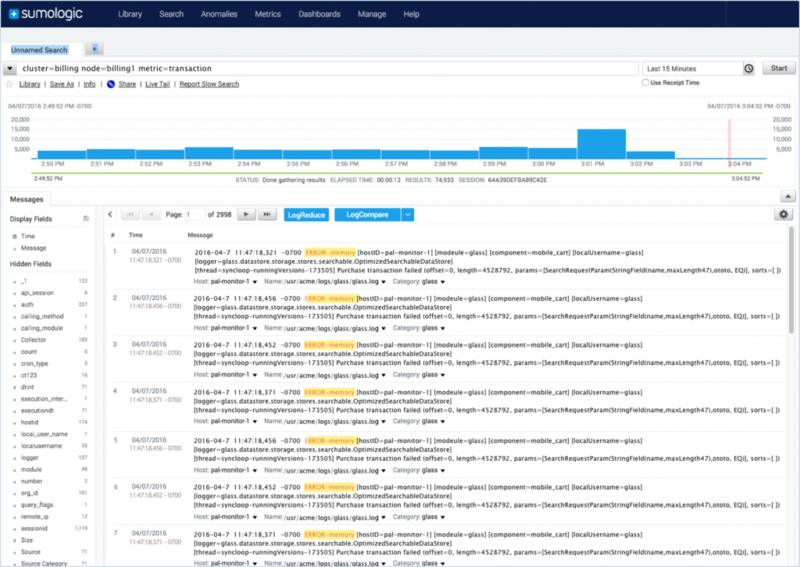 Sumo Logic’s cloud-native platform analyzes large volumes of machine data(logs and metrics) to drive actionable insights. Machine data represents new analysis challenges due to large volumes, high velocity of data and different data types. The complexity of modern applications generates machine data at an unprecedented pace. Many solutions struggle to keep up, resulting in longer resolution times and missed opportunities. Because machine data can be unstructured, semi-structured or structured, analytics tools must be optimized to analyze different data types efficiently and in real-time. 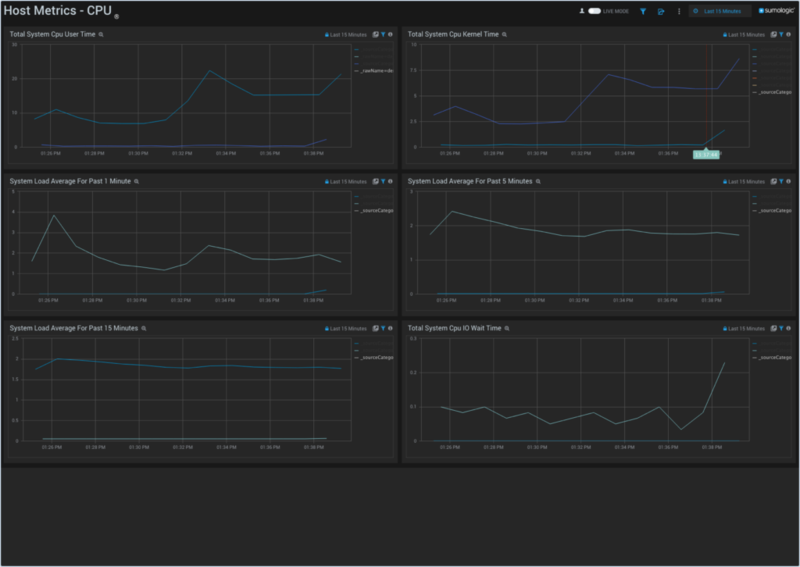 Sumo Logic’s advanced machine data analytics can help you stay ahead of business, operational and security issues. The difference of even a few minutes in detecting a leading indicator and predicting a critical event could mean the difference between a business-critical outage or revenue-generating opportunity. Predict future KPI violations, abnormal behaviors and future business needs. Visual analysis in the form of histograms, pie charts, etc. 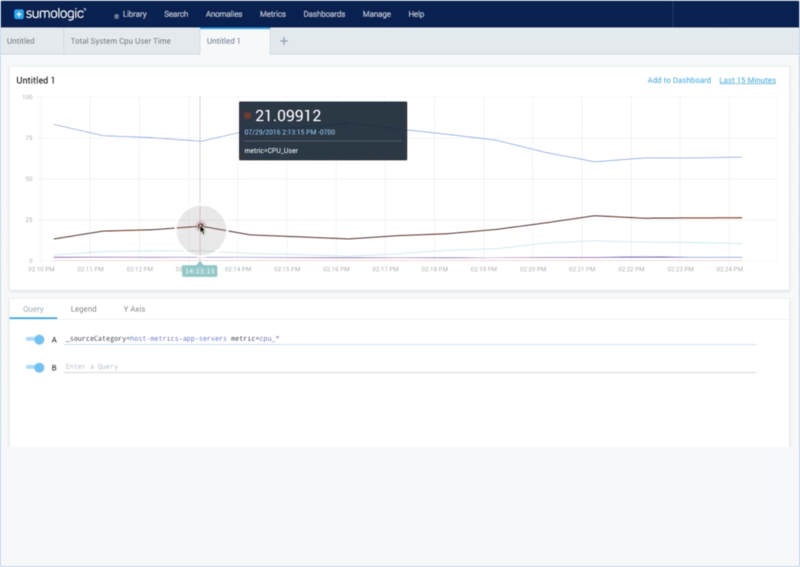 Aggregate and correlate logs and time-series metrics across your full application stack and across the build, run and secure lifecycle of your modern applications.